While on Walkabout Down Under, we were tickled to see that the Brisbane City Council has announced plans for the controversial $1.6 million CityCycle bike hire scheme. Locations have been announced for the first 80 bike parking stations and the project will roll out in the middle of 2010. CityCycle will allow people to pick up and drop off bikes at stations located across West End, Kangaroo Point, the City Business District (CBD), Fortitude Valley, New Farm and New Stead. The network, designed to reduce inner-city traffic congestion and parking demand, will then be expanded to take in St. Lucia, Toowong, Milton and South Brisbane with a final complement of 2000 bicycles across 150 stations. Meanwhile, in Los Angeles, LADOT Bikeways staff proudly announced plans to add bike lanes to a small section of Reseda Blvd. that they claim is almost 1.5 miles in length. Transportation Engineers indicate that the bikes lanes would feature a painted line indicating the edge of the bike lane as well as a stencil of a cyclist and the phrase "Bike Lane" placed at regular intervals. Reseda Blvd. already has 2 miles of bike lanes to the south, approximately 4.5 miles from the beginning of the proposed bike lanes, which will run to the north. This "slight" gap in connectivity in no way impedes a cyclist from enjoying a bike ride on Reseda Blvd. and will, in fact, get a cyclist within 1.5 miles of Cal State Northridge! 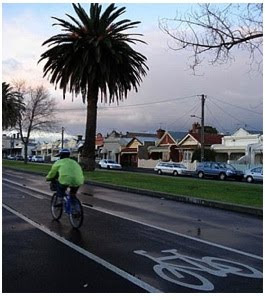 Both projects have received criticism, with CityCycle critics claiming that the $300 AU deposit per bicycle for casual rentals and the $150 AU deposit for subscription cyclists was prohibitive and would discourage use. However, Bicycle Queensland Manager Ben Wilson said it was a "fantastic" scheme and rejected criticism. "Anyone who gets their head into first gear can use it very cheaply with the annual subscription," he said. The LADOT came under criticism for committing to such a small section of Reseda and for projecting that it would take a full year to finish the engineering for the project with the bike lanes finally installed in late 2010. LADOT officials were quick to point out that the painted line on the street needs to be straight when the road is straight and it needs to curve when the road curves. When pressed to account for the length of time it takes to get bike lanes painted on the streets of Los Angeles, LADOT officials rejected the questions as "trashtalk" and reminded the audience that the bike lanes would be supported with little signs that said "Bike Lane" and that is when the project starts to get very complicated. Brisbane is a city of 2 million people and cyclists have access to approximately 396 miles of bike trails and bike lanes. Los Angeles is a city of 4 million people and cyclists have access to approximately 193 miles of bike trails and bike lanes. Brisbane features the King George Square Cycle Centre, Australia's first major end-of-trip facility for cyclists and pedestrians using active transport to the Brisbane CBD. The Cycle Centre is available on a membership basis and has a number of features including 420 individual bike racks, male and female change rooms with a total of 35 showers, lockers, ironing/laundry service, excellent security and cycle access direct to the door via Turbot Street or Roma/Herschel Streets from the Bicentennial Bikeway or through Roma Street Parklands from the north. Los Angeles features curbside bike parking in a quantity sufficient to ensure one rack for every 2 miles of street, which means if you ever see two bike racks together, it will be 4 miles until you see another! As for the Bike Boxes, Colored Bike Lanes, Lockers, Showers, Bike Stations and other amenities that Brisbane cyclists enjoy, Angelenos will just have to travel more if they'd like to experience them. Sad but true! If there is ever any doubt that City of Los Angeles lacks vision, one need only take a look at the LADOT Bikeways Department and those doubts will be dispelled. Great Cities are great for many reasons but they typically share one thing in common, a commitment to creating and maintaining a foundation of vibrant and dynamic public space that brings people together and creates community. Los Angeles definitely qualifies as a Great Big City but as for the elements of greatness, LA comes up short when it comes to how it allocates and utilizes its public space. It’s not that there is a shortage; it’s just that the access and use is limited. In Sydney, kids play cricket outside Town Hall. In Melbourne, mothers with prams meet under the Flinder Station Clock. In Budapest, locals congregate at Hösök Terén (Heroes Square). Munich features Fischer Brunnen for those who need a meeting place. New Yorkers can find both solitude for the individual and concerts for the masses in Central Park. Meanwhile, Chicago raised the bar on public space with its innovative and versatile Millennium Park. Around the world, Great Cities provide parks so people can walk, so they can picnic, so they can relax, so they can skate, so they can run, so they exercise, socialize, visualize, and romanticize. Some Great Cities refer to their parks as the city’s lungs because they clean the air. Other cities build them on rooftops and use them to insulate and contribute to the sustainability of the buildings. Parks are even used to collect and clean rainwater and to contribute to the community’s water reclamation efforts. As for public space in Los Angeles, well, that’s where you’ll most likely find people honing their parallel parking skills. After all, as for the utilization of public space, LA has more parking spaces per capita and less parkland space per capita than any of the Great Cities. LA is parkland poor but parking space rich. Los Angeles County has seven parking spaces for every registered car, all of them standing by on the off chance that a motorist somewhere might need to pick up some late night snacks at the local Piggly Wiggly. Heaven forbid he/she can’t find a parking space close to the front door. Angelinos somehow consider a parking space within walking distance to be a basic right, yet they yawn when confronted with the fact that only 34% of the children in Los Angeles live within walking distance of a public park. The absurdity of this scenario is driven home when one considers that in LA, the nation’s capitol for homelessness, it’s illegal to have a homeless car but homeless people are simply irrelevant. LA has it upside down! On Friday, September 18, artists, urban planners, neighborhood councils and activists will address the allocation and utilization of LA’s public space by stepping up to the curb, putting a quarter in the meter and turning that curbside park[ing] space into a temporary park, all in a celebration of Park[ing] Day LA and in an attempt to start the dialogue that our city leadership has avoided for too long. How does the largest City in the most populated State in the most powerful Nation in the World allow the rights of inanimate objects to take precedent over the rights of humans? When is Los Angeles going to take a giant step toward becoming a Great City by committing to creating local community parks so that all Angelinos live within walking distance of a park. East Hollywood Neighborhood Council, the park poorest NC in the City of Los Angeles, has two Park[ing] Day LA celebrations planned. The first park, “Rec Center,” will take place at Heliotrope & Melrose and will become a permanent pocket park after Park[ing] Day LA is over. LA Guerrilla Garden[ing] will repurpose the Park[ing] Day LA plants and leave East Hollywood one park richer. The second East Hollywood Neighborhood Council Park will take place on Santa Monica Boulevard between Madison and Westmoreland, right in front of the City of LA’s Street Lighting Yard. The Lighting Yard is a very large facility, nestled in the middle of a densely populated neighborhood and surrounded by a large number of elementary schools, all within walking distance. It’s across the street from the Cahuenga Library; a beautiful old building that should be complemented with great public space. It’s bordered by an imposing chain link fence and it’s used to house LA’s light poles and fixtures and equipment. It’s used for storage. It’s a lay-down yard, a staging facility. It could be anywhere but it’s right in the middle of a vital community and it’s an eyesore. The East Hollywood Neighborhood Council will build a park outside the light yard on September 18 and they will demonstrate that Santa Monica Boulevard, right across the street from the Cahuenga Library, is a great place for a park. If you’d like to participate in Park[ing] Day LA but are unsure as to where to start, how to build a park, how to frame your message or how to engage your community, come by East Hollywood on Saturday, September 5 for a Park[ing] Day LA workshop. 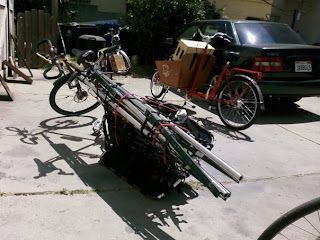 At 9 in the morning, the Greensters, LA’s first pedal powered transpo team, will be delivering Park[ing] Day LA materials to Santa Monica Boulevard. From 10am to 2pm, join the East Hollywood Neighborhood Council, local community activists, the Greensters, an Urban Forester and people who simply want to engage the leadership of Los Angeles in a robust discussion on LA’s public space. Between Madison and Westmoreland, south side of the street. Two blocks east of the Santa Monica & Vermont Red Line Station. Contact Stephen@ThirdEyeCreative.net for more information. Two weeks into my Australian Walkabout, I'm wandering the wilds of Melbourne, Sydney and Brisbane, following the storylines of my family and connecting with the history of my country. I am, after all, an Australian by birth and an Angelino by choice. It's apparent I've arrived just in the nick of time. This continent is populated by a stubborn bunch, all clinging to silly traditions and I've got my work cut out if I'm going to impart the wisdom of Los Angeles to my Rellies Down Under. 1) In Melbourne, a city of 4 million people, they're completely unschooled in the fine art of moving motor vehicles. Boasting the world's most extensive Tram Network, supported by a significant Train System, complemented by an efficient Bus System, Melbourne has the audacity to throw cyclists and pedestrians into the mix, positioning motor vehicles at the bottom of the food chain. The fact that their scheme works brilliantly, efficiently, safely, and effectively is completely irrelevant as is the bustling street life and thriving economic environment. The simple fact that the people of Melbourne would dare to challenge the primacy of the single occupant motor vehicle with such impunity and, of course, success, clearly demonstrates that Melbourne is no match for Los Angeles when it comes to mobility. 2) Melbourne simply fails to get in touch with its hugeness. Los Angeles and Melbourne are so similar in population and in size that they could be fraternal twins! The difference is this, Los Angeles is more mature and has grown comfortable with the fact that it's "built-out." LA's leadership resists innovation, claiming that the city is simply too big and too cumbersome to manage, let alone change. Rarely does a departmental meeting take place without the twin paradigms of mediocrity (LA is a battleship that can't be turned quickly and true progress occurs slowly and in small increments) being advanced as excuses for inactivity and mediocrity. Melbourne, on the other hand, has streets and buildings older than Australia, yet it embraces change and innovation as if there were no limits to progress. Dangerous stuff, this Heritage Preservation coupled with Urban Re-Purposing, topped off with parks and bike lanes and traffic circles and shared streets and traffic calming and all sorts of impossibilities! If Melbourne continues to fix streets, sweep sidewalks, treat residents with respect and act with the municipal dexterity of a small village, it can only serve to destroy LA's excuse for stagnation. "We're just too big!" 3) Melbourne completely misses out on political opportunities by focusing on practical solutions. In addition to the many significant environmental challenges any large city faces, Melbourne finds itself in the 13th year of a severe drought. Water is in such short supply, crop irrigation has actually been threatened and bush fires have ravaged communities with tremendous loss of life and property. Rather than pursue LA style "big-picture" political solutions that advance careers and enrich city coffers, Melbourne thinks little. Water "polling" has become a point of pride and my Urban Aunt shared her water records with us, competing against her history and her goals to reduce her water usage. Toilets have half-flush features, water reclamation is routine, peer pressure drives conservation and the public good is evidently of greater value than personal excess. At the end of a hard day of environmental stewardship, Melbourne residents return home to power outlets that are turned off when not in use, to rooms that are not heated or cooled unless occupied and to lighting that is low energy and heavy-metal free. This practical approach flies in the face of the LA Municipal model which relies on consumption in order to fund the city machine. Melbourne has so much to learn from LA, including the simple fact that there's money to be made by encouraging bad behavior! 4) Melbourne claims English as the native tongue but conversations are sprinkled with colloquialisms that require a bit of translation. For example, "living wage" means a basic wage that is suitable for...well...living on. "Affordable housing" refers to housing that is accessible and affordable to those earning a "living wage." Servers in restaurants blush when tipped, after all, they've "already been paid quite nicely, thank you!" This honesty in communication, while refreshing, deprives the City leadership of the wiggle-room that the Los Angeles style of double-speak provides. Left unchecked, this Melbourne style of “Strine" could result in an expectation that "public servants" actually serve the public! Where's the political future in that? 5) Aussies love their sports. But they take it a little too far! They love to play, they love to watch and they love to gamble. They are so competitive, they turn everything into a challenge and they always know the score. "The Eureka is the tallest residential building in the Southern Hemisphere, the Southern Star is the largest observation wheel in the Southern Hemisphere, the Melbourne Cricket Ground has the largest retractable roof in the Southern Hemisphere." This competitive spirit starts to get old, especially when everybody turns into a scorekeeper. The Transit authority posts their goals and performance numbers at the stations. The local authorities post their budgets and follow up with an accounting of the funds. Public Works leaves the price tag on their projects for all to see. Melbourne would do well to relax a little, to learn from the leadership of Los Angeles who embrace a "softer" style of accountability based on intentions and motivations and efforts. The Aussie approach translates into a style of governance that is so much more performance based with acute sensitivity to evaluation based on the numbers. From Town Hall to the Train Station to public works, those involved in serving the public can tell you how they're doing based on the numbers. Where's the future in that? In conclusion, I acknowledge that my Walkabout is not quite traditional, after all, it would typically take place in the outback, not in City Centre Boutique Hotels. Sustenance would most likely be bush tucker, not family reunion feasts. But who am I to get hung up on ritual when the real opportunity is to immerse myself in the journey of discovery and to explore the elements of Greatness that abound literally everywhere I walk. As I wander, I recognize much that connects me with my past and I realize much more that will shape my future in Los Angeles. The Aussies are experiencing many of the same challenges and opportunities but their actions are a little different and this is the inspiration and connection that gives my Walkabout meaning. In deference to my loved ones in Melbourne and in keeping with the spirit of a true blue Walkabout, I pass up opportunities for validation in favor of inspiration and I focus on my journey Down Under. So it is that I find myself reconnecting to my people, my history and to the spirit of greatness that accepts no excuses and knows no limits. A bike ride home on a quiet residential street almost ended tragically for the LA woman who was struck from behind by a hit-and-run motorist, thrown into a parked car, and left lying on the ground. Actually, it wasn't the motorist who struck her, it was the passenger who leaned out of the window, shoving the cyclist with both hands and caused her to fly off the road. The cyclist was riding at approximately 15mph when she crashed with enough force to send her bike flying over the car while she struck the cars back window face first. The collision set off the car's alarm, alerting the owner of the vehicle who then rushed to the scene. He surveyed the situation and asked the woman, now lying on the ground, what she was doing to his car. Once he had determined that the car was not the subject of a theft, he was gracious enough to call 911 for the dazed and injured woman. The LAPD never responded to the scene but the Fire Department’s Paramedics arrived quickly and administered first aid to the cyclist. The "Victim" was very lucky, escaping with minor injuries and healing quickly. One might assume that the "Victim" in this incident is the cyclist, but that would be a mistake. The cyclist, better known as the "Projectile," was shoved off the road by an assailant and then made the mistake of landing on the "Victim," a parked car. The "Victim," a lovely Ford Mustang, suffered injuries and repair bills that are now the responsibility of the "Projectile." The "Victim" carries a Vehicle Identification Number (VIN) along with Vehicle Registration, Auto Insurance, legal representation and the confidence that on the streets of Los Angeles, motor vehicles have the right-of-way, even when they’re parked. The "Projectile," a cyclist, had no Cycling Insurance (not available in the USA...yet) nor was she riding (and landing) with any support from the LAPD as she was assaulted and left in the street by a hit-and-run motorist and passenger. She is learning quickly that when it comes to the streets, cyclists are second-class citizens. The "Victim" suffered a dent and a scratch, minor injuries that were compounded by pain and suffering that has resulted in a fear of curbside parking. Fortunately, while on the mend, the "Victim" received support and aid from the Insurance Company, an Adjustor and a Collection Agency, all working to make sure that the "Victim" made a full recovery, both physically and financially. The "Projectile,” also suffered injuries and was treated by emergency workers at the scene of the incident. She went on to mend and has the bruises to remind her of her audacious flight through the air. She was able to repair her bike and to restore it to roadworthy state. The cyclist neglected to visit the "Victim" in the Body Shop and she failed to send a get well card to the convalescent garage, small gestures that would have gone a long way to easing the "Victim's" pain. Reports that the "Projectile" was simply busy working extra hours in order to save up to pay the $2,500 needed to cover the "Victim's" damages and to ward off the collections company were unconfirmed. This incident serves as an example of everything that's wrong with the way we manage our public space, the streets of Los Angeles. Vehicles are protected and supported while humans are perceived as 2nd class encroachers on the public right-of-way. 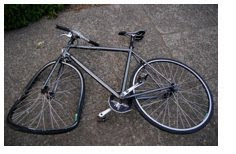 A crime against a vehicle is more likely to get attention and a response than a hit-and-run crime against a cyclist. Visit your local Neighborhood Council meeting and listen to the Senior Lead Officer's crime report. They'll spend more time reporting on iPods stolen from vehicles and permit parking than on the rights of pedestrians and cyclists. Take a look at the local LAPD Captain’s reports and you’ll see “Burglary from Vehicle” right up there with the other “serious” crimes. Meanwhile, Capt. Trotter of Valley traffic reports that the LAPD counts injured and killed cyclists as pedestrians. After all they’re not motorists. The cyclist in this absurd incident is not without rights. She, just like anybody who climbs on a bike and pedals into the public right-of-way, rides under the Cyclists' Bill of Rights. She's covered! #3 Cyclists have the right to the full support of educated law enforcement. #4 Cyclists have the right to the full support of our judicial system and the right to expect that those who endanger, injure, or kill cyclists be dealt with to the full extent of the law. Our streets, first and foremost, are for people. The cyclist in this incident deserves our full support and an apology for such an insulting experience from a system that is upside down and in need of correction. When it comes to political office, “Locals Only!” is still the equalizing hurdle that all candidates must jump and “home address” is still the most significant element on that political resume. It makes sense. After all, how can one purport to represent people in a district or city without actually residing locally, tripping over the same busted sidewalks, crossing the same congested streets, sending kids to the same schools, suffering the same miserable cable service, experiencing the same impact of development, shopping at the same stores, seeing the same people and engaging in the same conversations. Of course, our leadership is rarely at home. They typically spend long hours at City Hall or traveling to Sacramento or to Washington or on junkets around the world. But I digress. The fact is, the leadership of LA is very busy... leading! That often means that they are gone, out of town, elsewhere, very busy “making it happen” and that’s when the residency issue fades. The fact of the matter is, they all live at the Ritz or the Four Seasons or the W.
If the local communities that make up LA are to be represented by people who live, work, shop, drive, socialize, engage, connect, assimilate and relate to the neighborhood, it’s probably more important to require all Council District staff to be local residents. Current Council District operating styles vary from district to district but they essentially follow the basic paradigm. A Council District Chief of Staff and a team (pod, herd, mob, clowder, flock...) of Deputies “run” constituent services for the district, essentially serving as ombudsmen and ombudswomen for the District. Constituents call the Planning Deputy to report missing Community Plans and they call the Transportation Deputy to report missing crosswalks and missing bike lanes. They call the “Sorry, we’re in the middle of a budget crisis and there’s nothing we can do!” Deputy if they need an excuse for why something’s wrong in the neighborhood and they see the same chirpy Deputies bounce into Community Meetings to give announcements on the brilliant work being done by the Councilmember on behalf of the community. Imagine if they actually lived in the Council District! 1) An unnamed City Council President was taken to task for some issues in the area around his field office. In a meeting, he responded to the criticism, but not by defending himself. In fact he didn’t even perceive the criticism as an attack on his performance. Instead, he spoke in defense of the Deputy responsible for the area and spoke of her hard work and commitment. From where he sat, the buck was not his, it stopped with the Deputy. Saddest of all, the measure of success was intention, not result. Ultimately, if the Deputies for the Councilmembers are to truly serve the community and to truly represent the Councilmembers, it is imperative that they hear the noise at night, that they see the broken streetlights after dark, that they experience the traffic on the weekend, that they know where to shop and how to get to the park and how hard it is for the kids to walk or ride to school. Most of all, their enthusiasm for improving the quality of life in the community needs to be personal, not simply a desire to serve the Councilmember and then to jump into a car to drive to another district and perhaps another city. 2) Hiring local would reduce traffic. The Local Deputy could walk, ride a bike, take mass transit. This would result in a massive reduction in transpo expenses that the public is responsible for covering. Objections such as “Mass Transit doesn’t work!” or “This really isn’t a safe place to walk or ride!” can now be put on the table and addressed with the enthusiasm that only locals can provide. 3) Hiring local would improve the local economy. The Local Deputy could experience the frustration of shopping locally, supporting the local businesses, conducting quotidian business, all in an environment where the basic function of the streets is to serve as a traffic sewer, not a robust artery that draws life to the community. Planning discussions would take on a completely different tone if the proposed development were at the end of the Planning Deputy’s street. 4) Hiring local would result in an interesting element to public safety accountability. No longer would those crime reports be statistical and would community discussions be academic. Local Deputies would bring public safety to a personal level, where it belongs! 5) Hiring local would give grass roots politics a new level of access if local representatives were more than simply “walking commercials” for the Councilmember but were also active stakeholders in the community. There are already great examples of Neighborhood Council boardmembers who are active in City Council offices and visa versa. This would then become the norm, not the exception. If this began to feel as if the Deputy was serving two masters, it would allow us to confront the real issue. Sometimes a Councilmember is not moving in the direction of the community and when this happens, it needs to be addressed quickly by the public. 6) Hiring local gives the city an intimate and immediate evaluation of the housing situation. When those who work for LA can’t afford to live in LA, there’s something dramatically wrong. 7) Hiring local has a positive impact on the major issues that come up in any campaign, in any community meeting and in any day in the neighborhood. Having local Deputies that live in the community will have a positive impact on Transportation, Public Safety, Housing, Education, and the Economy. Ultimately, the very objections Councilmembers are likely to offer in rejecting a “hire local” mandate are also indictments of their performance. We know all about it, we live here. We know all about it, we travel these same streets. We know all about it but our problems are 24 hr and our support is 9 to 5. We’re visible and we’re accessible and we never go on the clock, we just work to improve our communities. We want Deputies who are visible and accessible! We know all about good choices and that’s why we chose to live where we live, that’s why we work where we work, and that’s why we’re involved in making our community a better place for everybody. If living in our community isn’t a “good choice” for the Deputy, perhaps that Deputy is not a good choice for the community. More importantly, if a Councilmember can’t stand up and say with pride, “My District is such a great place that my Deputies all insist on living local, working local, shopping local, educating their children local and becoming a real part of the local community!” then that Councilmember has failed. The City of LA needs City Council Candidates who will stand before the community and say with confidence that they intend to work with such effectiveness and success that their Deputies will all choose to live in the District that they serve. Who will be the first City Councilmember to proudly lead a “locally organized, locally operated” Council District. Who will be the first CD2 Councilmember Candidate to stand up and declare “live local, work local” as the foundation of their vision for leading their Council staff. CityWatchLA - Dude—There’s a Park in My Loading Zone! LA’s Greensters are going mobile with LOAD[ing] ZONE, a pedal powered bicycle convoy that transports temporary parks through the streets of LA as part of the Sept 18 Park[ing] Day LA celebration that will be turning park[ing] spaces into parks, just for the day. The Greensters are an all bicycle transportation team that was formed as part of the Rebel Without A Car Productions commitment to sustainable film production. They provided all transpo support for the entire "At What Price" film shoot, including moving all grip & electric, camera & audio, catering supplies & food, production supplies and even a couple of camera operators. They had so much fun, they’re still riding as a team. Load[ing] Zone starts early in the morning on the west side and the Greensters will load up supplies for their curbside temporary parks and begin riding, stopping as opportunity presents itself, and building a temporary park, engaging the public in a dialogue of open space and of how we approach the movement of goods and people. The parks they build will be traditional in the sense that they offer people a place to meet, hang out, seek entertainment, refreshment and enlightenment. 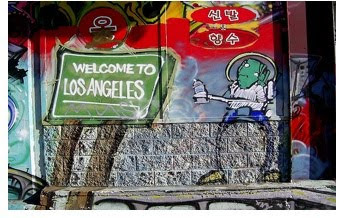 Ron Durgin and Jeremy Grant will be leading Load[ing] Zone on a route that meanders through South LA, up through the Wilshire District, across East Hollywood, through Silver Lake and up to Highland Park, stopping to pay homage to the home of the Fly[ing] Pigeon and the home of the Bakfiet. Load[ing] Zone features a cupcake bike (not made out of cupcakes but loaded with cupcakes!) a music trailer and an ice cream bike. CaterGreen will be pulling a ZeroWaste compost trailer as part of the “leave no trace” commitment and will engage the community in a dialogue on opportunities to improve our relationship with our environment by putting our trash to work. 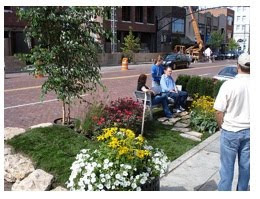 The parks built on Park[ing] Day are temporary parks, typically build in metered parking spaces and lasting only as long as the meter is fed, but Load[ing] Zone will also have a Guerrilla Garden[ing] Trailer. Park visitors will find native and drought resistant seeds, soil and castings so that they can make seed bombs to take away, and toss them on the barren and forlorn empty lots in the area. The next rain will awaken them, causing a small Pocket Park to blossom. Load[ing] Zone is an open ride and cyclists, park lovers and fans of cupcakes are invited to join the Greensters as they take the parks to the people. The day of riding and parking and cupcaking and pollinating will conclude in Echo Park with an outdoor Ride-In Movie featuring highlights from the Bicycle Film Festival. LADOT to Motorists - "Prepare to Accelerate!" The City of LA, in its infinite wisdom, has again used “But it’s State Law!” as an excuse for employing the popularity contest disguised as science approach to the establishment of speed limits on local streets. On Thursday, August 13, at 10 am, the City of LA’s Transportation Committee will be considering LADOT submitted proposals to increase the speed limits on 16 of LA’s streets. 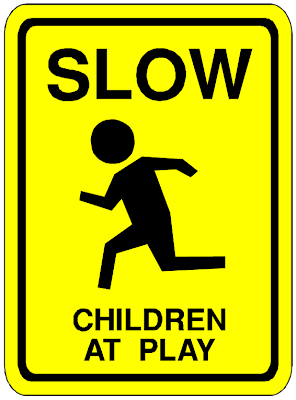 The debate over State Law, speed traps, the 85% rule used to establish speed limits, the need for speed zone certification in order to utilize radar/laser for speed limit enforcement has taken place locally, in Sacramento and there’s no reason to rehash that discussion here. What’s most important is to simply ask the LADOT why the rush to clear the 16 proposals so quickly and so quietly? 1) Assemblyman Paul Krekorian is hosting a “Safe Streets Workshop” on Saturday, August 22, in an effort to update residents on AB 766, the Safe Streets Bill, which addresses the local community’s desire to have control over the establishment of speed limits in their community. Why not wait until after the workshop? Why the rush? 2) LA’s neighborhood councils and the Department of Transportation have been hard at work, developing an MOU between the NC and the DOT. The NC MOU Negotiating Team and the NC Transpo Reps meet this Saturday, August 15, in an effort to establish a working relationship that includes parameters for notification. Why not wait until the after the MOU is signed? Why the rush? 3) The speed limit revisions are for streets that have had expired certification for as much as 2 years. Of the 6500 miles of streets in LA, only about 700 street sections are speed zone certified. The current system is so ineffective that it begs for an enlightened restructuring. The current process relies on strategies that are 6 decades obsolete. Why not wait until LA has a better process? Why the rush? At the end of the day, the current process for increasing the speed limits on the streets of LA is an exercise in bureaucratic rubber-stamping. LA’s newly seated City Attorney, Carmen “Nuch” Trutanich, is hosting a City Attorney Neighborhood Forum at City Hall on Thursday and in an effort to demonstrate his unique approach to access, he has divided the public into two groups, those who get “free guest parking” and those who don’t. It always comes down to the haves and the have-nots. I won’t be there, of course. I didn’t qualify as one of LA’s “core-elite” and in a city that ranks your influence based on where you park your car, I can only imagine the inferior seating set aside for those who arrive by bicycle, or even worse, on foot or by mass transit. Of course, Nuch could have looked at Enrique Peñalosa’s work in Bogata, Columbia for inspiration on positioning equality in mobility as the foundation for a municipal government, a position that results in a reduction in crime, an increase in efficiency and a positive impact on the local economy, all while contributing to the overall health of the voters who put him in office. Instead, Nuch continued down the congested road that positions motor vehicle parking space as the commodity that makes the wheels of this city move, the element of privilege that confirms position and power, the gift of public property that doesn’t show up on the audit trail and the City Hall welcome mat that keeps the insiders in and the outsiders out. This may sound harsh, after all, we live in a city where “Officer, it was the strangest thing, I looked outside and there was a guy walking on my sidewalk!” is a legitimate “Broken Windows” call to the LAPD and ranks right up there with “All units! There are cyclists riding on the street!” as confirmation that there is something seriously wrong with the way LA moves people. At every turn, we reward bad transportation choices and then discourage good behavior, all the while complaining about our transportation system and traffic congestion. Nuch is not unique in his commitment to the status quo and that’s the point. If he really wanted to come in and shake up City Hall and to communicate that there was a better way to engage the people, he could have simply started with public access based on equality of mobility. Instead he selected “free guest parking” as the battle cry. How great would it have been if Nuch opened his reign with a commitment to the people of LA that City business would only take place in facilities that are open to those who walk, to those who use mass transit and to those who ride bikes. After all, this commitment is already made to those who arrive in motor vehicles, why not include the rest of the public? Nuch is not alone in missing this opportunity. Mayor Antonio Villaraigosa, the Patron Saint of Mass Transit, was recently scheduled to meet with the membership of GreenLA, an advocacy group made up of 100 of LA’s most active environmental organizations. The meeting was billed as “GreenLA Membership and the Mayor of LA” in a dialogue on LA’s green issues platform. Apparently transportation wasn’t one of the topics. In a demonstration of disconnect, the meeting was scheduled to take place on the Westside, in an industrial area south of LAX. The venue is in an area so transit-proof that GreenLA first asked those with cars to offer carpools to other guests, then simply switched the location to a downtown facility, accessible to pedestrians, cyclists and those who use mass transit. Why, it even had accommodations for those who carpooled! How is it that those who arrive by car are given special consideration on event notices, invitations and flyers, complete with information pointing out parking availability, detailing the location of the parking, noting any special reimbursement or validation details, and reinforcing the old and tired LA mantra, “You are what you drive” while those who employ alternative transportation are expected to figure it on their own. Councilman Tom LaBonge recently invited Art Leahy, the new CEO of the Metro, to an evening town hall meeting to discuss LA’s Transportation System with the community. LaBonge chose Travel Town in Griffith Park as the venue, apparently unaware that the 96 is the closest bus and it stops running at 6pm. The Metro’s website indicates that there is no bus service from City Hall to Travel Town, it’s simply Metro inaccessible. Is the leadership of LA new to the city or just new to the idea of moving people in modes other than the automobile? The meeting was moved to another location, this time one with no bike racks. Small steps! The Department of Neighborhood Empowerment (DONE) is currently gearing up for the October Neighborhood Council Congress and in an effort to fan the flames of interest, a “save the date” flyer was sent out promising “Great People, Great Food and Free Parking!” No word on alternative transportation, no encouragement to walk, no info on mass transit, no directions to the bike racks. Nothing in that flyer communicates a commitment to equality as the standard for public access. Our freedom to move is one of our most basic freedoms. In the political arena, access is one of the most basic elements of equality. To get harsh on the status quo of parking may seem...well...harsh. But consider this, there are seven parking spaces in LA County for every car. The host of a public meeting that doesn’t accommodate those who arrive in single occupant vehicles faces severe criticism. Council District 2 candidate Chris Essel demonstrated her commitment to the locals in CD2 by sending out an invitation to the “common folks” urging them to drop by her office on Ventura Blvd. The invitation indicates that the location is supported by “ample free parking on Ventura Blvd. 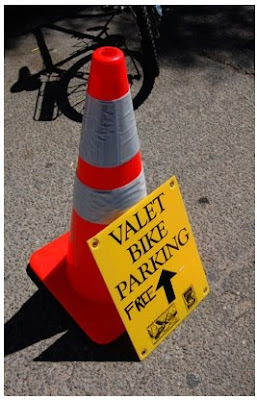 in addition to valet parking on site.” No mention is made of buses such as the 150 or the 750, no mention is made of the available bike parking, no encouragement to do anything other than maintain the status quo, all the while complaining about traffic congestion! Bravo to the CD2 Candidate who seizes this opportunity and fills the leadership vacuum, showing up at the next Candidate Forum on foot or who takes the Metro or who rides their bicycle or who shows up on a horse. Having a candidate show up in anything other that a single occupant motor vehicle would be a refreshing demonstration of a commitment to shaking up the way we move people and would certainly separate the doers from the talkers. LA’s City Clerk has taken the lead on this standard and has established “mass transit accessible” as one of the criteria used for selecting locations for the upcoming Neighborhood Council elections. Ultimately, if Los Angeles is going to become a Great City, it will be because mobility is positioned and supported as a basic human right. It will be because we work together to create a standard where public access includes the public as a whole, not simply those who arrive in a car. It will be because we define and respect our streets as public space. Park[ing] Day LA is underway and activists, artists, urban planners and neighborhood councils are preparing to step up to the curb, place a quarter in the meter and then transform curbside park[ing] space into temporary parks, all in an effort to stir a dialogue on public space. The East Hollywood Neighborhood Council, holding the title of park-poorest NC in the city, will be [re]claiming public space and building a Recreation Center on Heliotrope, installing a swimming pool, grilling up food on a bbq, entertaining guests with music and volleyball, creating live art and challenging the community to imagine a neighborhood with ... brace yourself...parks within walking distance of the people! Organized by Alfredo "the Park Czar" Hernandez, the East Hollywood NC is planning a demonstration of Parkland Alchemy as the "temporary" park is transformed, the next day, into a permanent park within the NC boundaries. LA Guerrilla Garden[ing] will be taking all of the drought resistant native plants used on Park[ing] Day and will build a small park for the community as a demonstration of the "leave things better than you found them" commitment of the Park[ing] Day LA grass roots movement. LA's Greensters will be handling all the heavy-lifting needs for the East Hollywood transformation from temporary park to permanent park, utilizing Xtracycles, trailers and wagons in a pedal-powered display of sustainable transportation and as a demonstration of fact that LA is simply a great place to ride a bike! Recycled Movie, the production company that turns kids into movie moguls, will have their recycling trailer on site throughout the event and will be documenting Park[ing] Day LA while fulfilling their mandate to make recycling a routine activity that puts kids to work and also funds their filmmaking endeavors. Park[ing] Day originated in San Francisco in 2005 when (Re)Bar, a small group of artists, opened eyes worldwide by transforming a metered park[ing] spot into a park-for-a-day. That simple act served as a significant commentary on the lack of quality open space in American cities and resulted in Park[ing] Day celebrations around the world. This is the third annual Park[ing] Day LA and participants have engaged their communities with a wide variety of parks and public space perspectives, all of them challenging the status quo. Step up to the curb, look at all of that public space and ask "Why not?" For more information on Park[ing] Day LA visit http://ParkingDayLA.com. Three weeks ago I asked the world for help in fulfilling Rebel Without A Car Production's commitment to producing a film sustainably. Our goal was to shoot locally and in partnership with the community. It all seemed so doable when we were brainstorming and imagining a world of "Big Stories told with Little Footprints!" but when the production got going and I realized that all the grip & electric, all the camera and audio, all the food and all of the production supplies would need to be transported on bikes, I began to sweat. There was a brief moment when I imagined myself riding solo through the streets of Hollywood in the middle of the night, laboring to keep the production moving, all the while cursing Enci's commitment to shooting "At What Price" sustainably. That's how I found myself posting a video, calling for help, hoping that someone, somewhere would come and join me. In a moment of optimism, we named our substitute Teamsters "The Greensters" and the journey began. Time was running out and I received a couple of emails, a couple of calls and a few nods and expressions of interest. I was happy for any interest, I was hopeful for help, and I was under pressure! The day of reckoning came and history was made in East Hollywood! Greensters showed up from all over, Beverly Hills, Orange County, Highland Park, Silver Lake, K-Town, Pasadena, Hermosa Beach, Marina Del Rey. They arrived on Xtracycles, they pulled wagons and trailers, they came on bikes of all shapes and sizes. DJ Chickenleather, who usually gets up at the crack of noon, even on his day off, arrived with a homemade bamboo trailer that looked suspiciously like a re-purposed Pier One patio display. It was all good! We were a team. A team of Greensters and we had some history to make. Oh yeah, and a film. 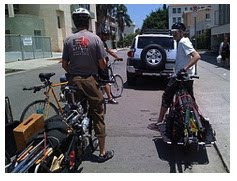 Ron "the Sherpa" Durgin served as Transpo Captain and planned the routes, organized the Greensters and led the convoy down Santa Monica Boulevard and to the location in East Hollywood, riding an Xtracycle loaded with gear and a the filmmaker who documented the journey! Jeremy Grant also rode an Xtracycle as did Erik Knutzen and by the end of the production, they had quite a few converts. I had anticipated more cyclists with trailers and wagons but the Xtracycles proved to be the transpo solution of the future. No matter how we started off, within moments the Xtracycles were at the front of the pack while DJ and I rode caboose, debated philosophy and interviewed each other. Josef Bray-Ali of Flying Pigeon LA graciously donated the use of a Bakfiet and an Xtracycle and Beth and Tracey put them to good work. Monster Kat of Handmade Store on a Bike loved what we were doing and set us up with two of the trailers she uses for her pedal-powered store. The Greensters came from all walks and with different perspectives and that added another layer of sustainability to the endeavor. Laura is a Film Producer, Dale is a Transportation Engineer, Wai is a Marine Biologist, Shant is a LEED Contractor, Feather is a Chef, and Allan & Herminia are ZeroWaste Consultants. Through it all, the Greensters shared a passion for creating community and challenging the status quo. During the shoot, the Greensters shopped local Farmers markets and the crew was nourished with fresh food, prepared at Camp Rebel, all with a zero waste commitment. 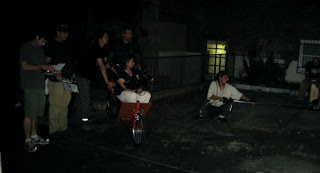 Production was supported at all times with cyclists such as Ricardo who were quicker to get around the neighborhood on bikes than if they had been using cars. Kimby in Bakfiet while the Greensters are lending a hand. Photo by Brian Smith.Kimby Caplan in Bakfiet while the Greensters are lending a hand. Photo by Brian Smith. Riding around Hollywood was loads of fun but the true test came when late at night it was time for a company move. The Camera Crew were a little under-impressed as they watched us roll out, ready to move all the equipment to an exterior location a couple of blocks away. "Time is money! It's getting late! What about power?" In less time that it takes to pry a Teamster out of a Motorhome, we had moved everything including the solar-powered LibertyPak generators and the Nila lights and we were ready to shoot. Josef's Bakfiet served as camera-bike and the DP sat in the bucket with her camera and a contented look on her face as Flying Pigeon LA put another dolly grip out of work, replaced by a Greenster! We had a great time, we challenged the transpo paradigm of "the Industry" and Hollywood didn't fall of its axis. At the end of the shoot, Enci had her film. That, in and of itself, is an accomplishment. But we went one better. We did it sustainably, with a zero waste commitment and by overcoming the two biggest obstacles that prevent Hollywood from doing the right thing; Transportation and Energy. As for the Greensters, the next objective is to lay down the "Sustainability Manifesto for the Industry." In the land of "Hey! Look at me!" 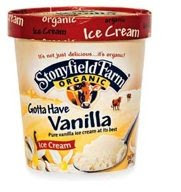 the Department of Neighborhood Empowerment has selected "generic" as their approach to positioning their brand. "Hey, I'm going to the Commission hearing. Want to join me?" "Which Commission, the Police Commission?" "No, you know, the COMMISSION!" "I am being specific! It's 'The Commission!'" "You're not making sense. What is it that this Commission does?" "Well, they oversee 'The Department.'" "No, it's just 'The Department!'" "No, it's simple! 'The Commission' oversees 'The Department' and that's how it works!" "So you're telling me that 'The Commission' and 'The Department 'work together. What do they do?" "They support LA's system of Neighborhood Councils." "ORLY! And what are neighborhood councils?" "Well, according to 'The Department' they're 'LA's Best Kept Secret!'" "So let me get this straight. 'The Commission' oversees 'The Department' which supports 'The Secret' and somehow this makes sense to you." "Wouldn't referring to neighborhood councils as 'The Secret' be an acknowledgment of failure? After all, isn't the objective of branding to communicate and connect, not to hide?" "So 'The Commission' oversees 'The Department' which supports 'The Secret' and somehow you're good with all of this?" "Well, if all of this generic silliness makes sense to you, that makes you 'The Suckah!'" "Hey, you can't talk to me that way! I'll go to 'The Commission!'" Repeat mercilessly until the lawyers from the estate of Abbott & Costello sue you for ruining a good joke, this time at the expense of the public! Years ago Enci and I were on a large evening ride that took hundreds of cyclists through the greater LA area. As we rode through one of the neighboring cities, I noticed that the intersection up ahead was "corked" by the local police department. "Why, that's thoughtful of them!" I said to myself, smiling as I basked in the obvious respect that we were drawing from the local authorities. As I rode my high-horse, it dawned on me that the friendly faces that were "corking" intersections for us were actually simply steering us out of town. The route was simply "Anywhere else, very quickly!" We were run out of town. But for most of the trip, we were convinced that they were working for us, that right then, they really liked us and wanted to help us. I learned then to look closely to see if the "help" is really helpful or if it's simply a way to get the cyclists out of the way. This brings us to LA's Bike Plan. What should be a document that positions cycling as a legitimate transportation solution instead dresses up like a "We're here to help!" solution but it's really a "Get out of the way!" ploy to move cyclists to the fringe. The current Bike Plan is still under wraps but the Bike Plan Maps reveal less Bikeways facilities than the old plan had which means the City of Los Angeles paid its consultants $450,000 to erase the inconvenient elements. The proposed Bike Maps are unintelligible without the Bike Plan, unless of course you have an LADOT decoder ring. They're also Orwellian and seek to position "infeasible" as an engineering term that purportedly supports cycling as a safe and effective means of moving through Los Angeles, as long as it's done from within the confines of a spin class at the Equinox. "The MVCC finds that, with respect to Mar Vista, the maps for the draft Bicycle Master Plan show that the plan does not offer a significant improvement over existing conditions for cyclists riding in Mar Vista. We therefore recommend that the scope of the work be rewritten to position the Bicycle Plan as an inspiration and aspiration document that will support cycling as a transportation choice." Take a look at the presentation I gave at Saturday's Los Angeles Neighborhood Council Coalition where I asked the NC's to simply ask the hard questions and to endorse the Cyclists' Bill of Rights. Most importantly, look closely whenever the City of Los Angeles presents the cycling community with a gift that positions "Safety, Security and Liability" as their motivation for action or, more likely, inaction. It's Equality that should be the foundation for our mobility and public space policies and anything less is an effort to get somebody out of the way. "See you on the Streets"